Matt Smith may be the current Doctor, but it’s Sylvester who has been getting a lot of press lately for a variety of stories. I mean, is it me, or is he getting a disproportionate amount of coverage for a classic series Doctor, compared say to Tom Baker or Peter Davison? Good for Sylvester, I say! Here’s a little round-up of the stories that have been doing the rounds. 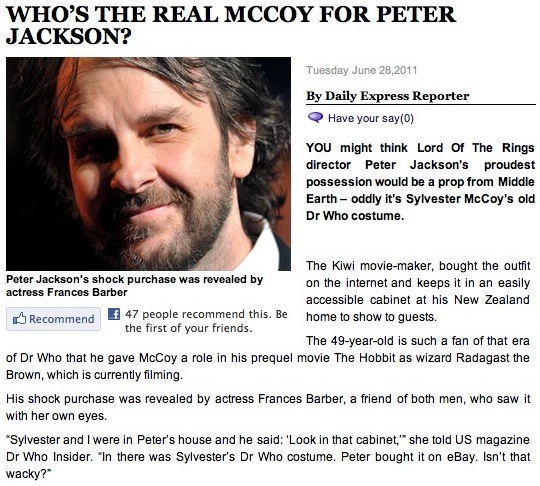 Express.co.uk - Who’s the real mccoy for Peter Jackson? 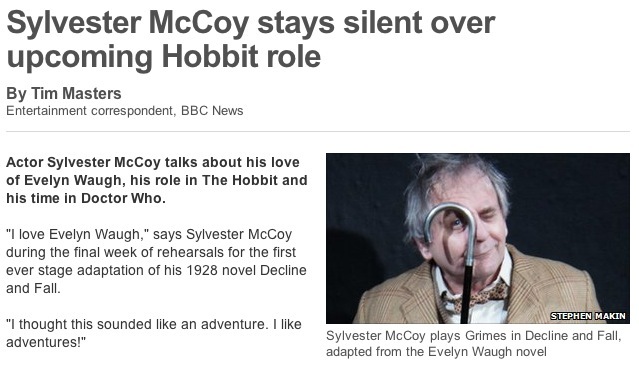 Good for old Sylvester! 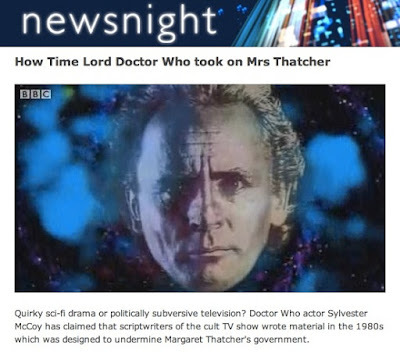 I know he's not the first Doctor many people think of when they go to watch classic Doctor Who, but I think he was great in his own way. 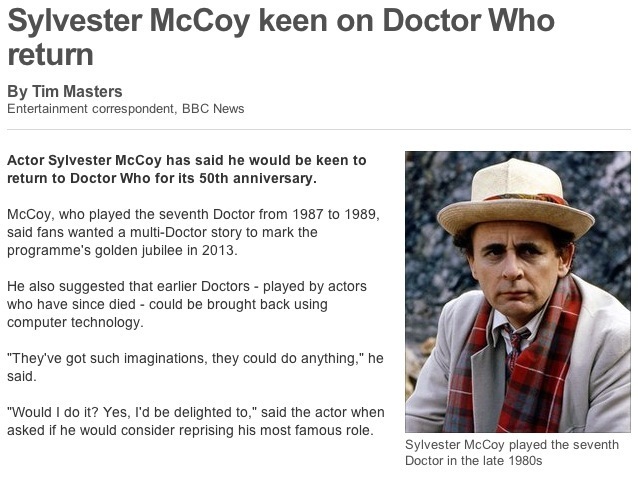 Good for him getting some attention after all these years! I still remember watching back Remembrance of the Daleks on the released DVD, and being surprised that Joseph Marcell (A.K.A. Geoffrey the Butler) was in an episode.